The routing capabilities of an interconnection network are strictly related to its bandwidth and latency characteristics, which are in turn quantifiable through the graph-theoretic concepts of expansion and diameter. This paper studies expansion and diameter of a family of subgraphs of the random geometric graph, which closely model the topology induced by the device discovery phase of Bluetooth-based ad hoc networks. The main feature modeled by any such graph, denoted as BT(r(n),c(n)), is the small number c(n) of links that each of the n devices (vertices) may establish with those located within its communication range r(n). First, tight bounds are proved on the expansion of BT(r(n),c(n)) for the whole set of functions r(n) and c(n) for which connectivity has been established in previous works. Then, by leveraging on the expansion result, nearly-tight upper and lower bounds on the diameter of BT(r(n),c(n)) are derived. In particular, we show asymptotically tight bounds on the diameter when the communication range is near the minimum needed for connectivity, the typical scenario considered in practical applications. 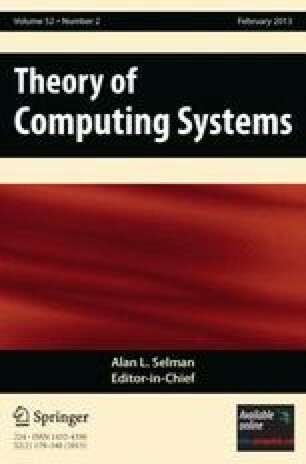 An extended abstract of this work  was presented at the 17th European Symposium on Algorithms, ESA 2009. Support for the authors was provided, in part, by the Italian “Ministero dell’Istruzione, dell’Università e della Ricerca” under project AlgoDEEP, and by the University of Padova under the Strategic Project STPD08JA32 and Project CPDA099949/09. Part of this work was done while the first author was visiting the Department of Computer Science of Brown University, partially supported by “Fondazione Ing. Aldo Gini”, Padova, Italy.